The 2016 Olympic Games in Rio de Janeiro commence on Saturday August 6, with the men’s cycling road race being one of the first events to award medals. A total of 144 men will line up for the road events – which comprise road race (Saturday August 6) and time trial (on Wednesday August 10). 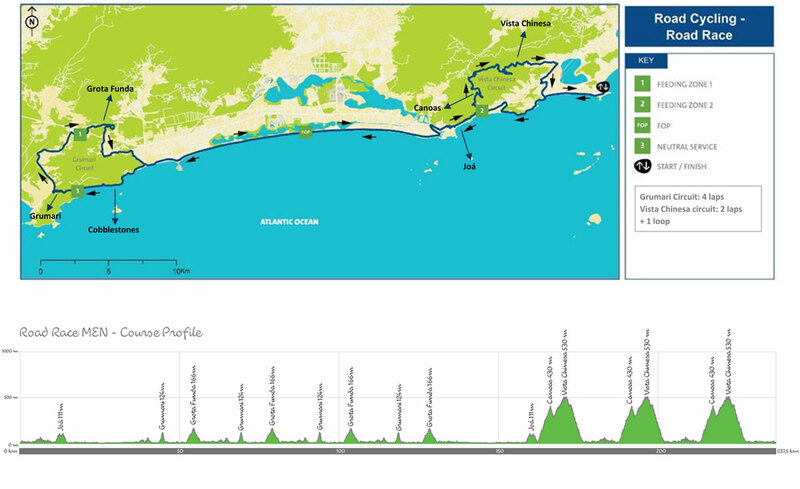 The men will tackle 237.5 kilometres on a route that includes two circuits at each end of a stretch of coast road. The first features the Grumari climb (1.2km, average 7 per cent) and the dragging Grota Funda (2.1km, average 4.5 per cent). The second circuit features a longer climb in the form of the Vista Chinesa (8.5km, average 5.7 per cent), which is tackled three times. London 2012 champion Alexandre Vinokourov (Kazakhstan) has retired and will not be present to defend his title. However, silver medallist Rigoberto Uran is part of a strong Colombian line-up.